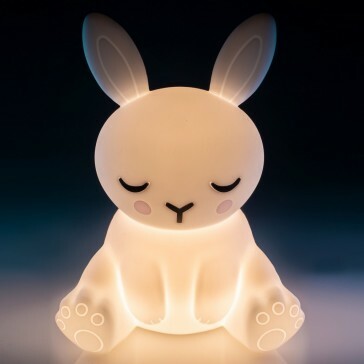 Cute little rabbit LED table lamp. Soft to touch and also touch-sensitive. Soft silicone casing with an energy efficient LED builb that changes intensity when touched, adjusting brightness to the desired level.